When I was 11, I patiently waited for my letter to arrive. I seriously did, just as many other children the same age as me. It was nearly 10 years ago… At the beginning, I created all sorts of scenarios to explain why I hadn’t yet received this letter. I remember some of them, like… “they forgot about me!”, “Maybe I’m under a spell that errased my powers and they can’t locate me!” or “they want to protect me because a very bad wizard wants to kill me!“… silly stuff like this. Who didn’t? I was pretty sure I was a forgotten-muggle-born-witch and that at some point the Magic world had made a mistake and had yet to discover my existence. It goes without saying that I was an unpopular, lonely, bookworm little girl with lots of imagination. I am 20 now. It seems rather certain that I am a muggle. Which is a shame. I would LOVE to be a witch. I am sure I would have been very good at school. 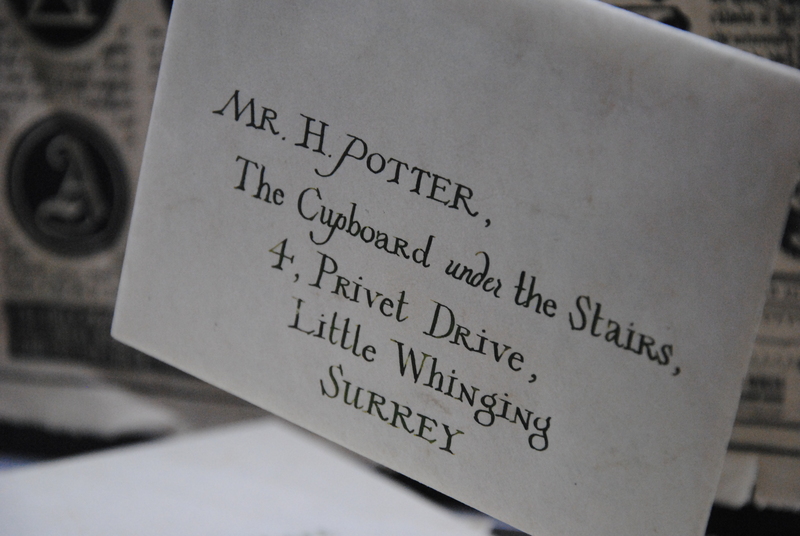 But let’s imagine for a minute what would my life have been if I had received that letter. I would have been a student there from 2003 to 2010. Sounds great to me. Those are not my favourite years. I still remember just how cruel children and teenagers can be. A little bit of magic would have helped. 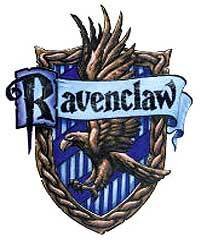 If I am to believe my Pottermore results, I would have been a Ravenclaw. I was surprised. Honestly, when I read the book, I thought “ah, so I would have been an Hufflepuff, right?“. I really admire them, in some way. I admire their qualities. Anyway. Ravenclaw definitely suits me, I guess. Though I am not the hardworker Ravenclaws usually are, I think I understand why the little quizz put me in that House. I would have been terrible at flying, so Quidditch was probably not for me (I am awful at any sport with a ball, so with or without a broomstick doesn’t make much difference). However, cheering my House team would have been a pleasure~! The subject I would have loved the most is certainly History of Magic. I know, I know, it sounds terribly boring and all, and I read just like you how soporific Binns classes were. But it just fascinates me. The subject, I mean. I would have loved to learn all those things. In middle school and High School, History was my favourite subject. Seriously. I love it. Potion would have been terrible. I know Snape was dead, in 2003, so maybe the teacher was somewhat kinder, but still, I know how I cook. I overlook quantities and just stop when it seems right. Potions need way too much precision for me. Charms and Transfiguration both sounds very interesting, so I really wish I could be a witch for just one day and try those two. Please! I want a wand! If I had gone to Hogwarts, I would have graduated three years ago. So, by now, I would probably already have found a fascinating job, maybe at the Ministry? Something like that. Sounds great. And, honestly… since I am French, Beauxbatons would have been my school, not Hogwarts, right? So, what about you all? Did you dream to receive your letter? How would have been your life if you had gone to Hogwarts? For those of you who wonder “why such a post?”, well, I am completing application forms for Master degrees lately, and I’m definitely dreaming of NOT having to do all of that right now. It just makes me panic. PS: please don’t re-use my photo of the letter without my consent, thanks!